At the age of twenty-two, Jennifer Worth leaves her comfortable home to move into a convent and become a midwife in post war London’s East End slums. The colorful characters she meets while delivering babies all over London—from the plucky, warm-hearted nuns with whom she lives to the woman with twenty-four children who can’t speak English to the prostitutes and dockers of the city’s seedier side—illuminate a fascinating time in history. 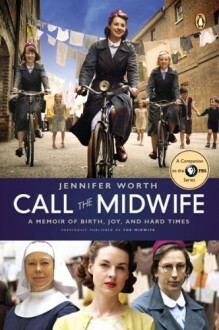 Beautifully written and utterly moving, Call the Midwife will touch the hearts of anyone who is, and everyone who has, a mother. I know everyone is raving over the book but I have to admit that by the end, I was beginning to wonder how much of the memoir is fact and how much is old memories embroidered by the passing of time--but then again, I am always asking that question about truth and memory.